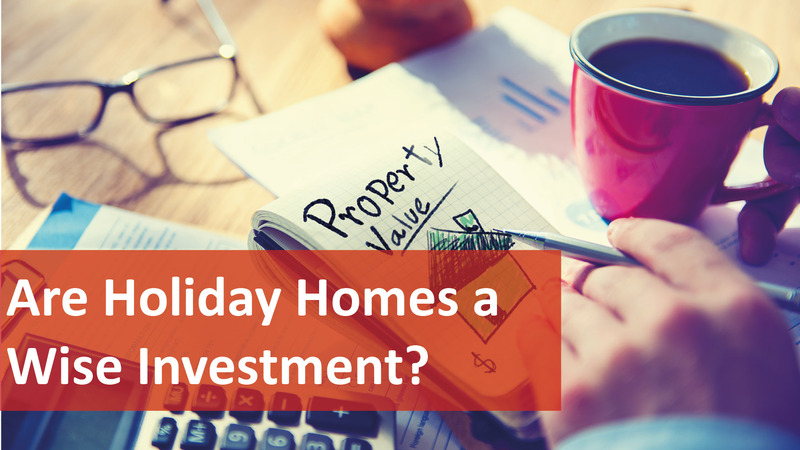 Have you just returned from a trip down south over the Christmas break and wondering if buying a holiday home would make a smart investment for 2018? Let’s take a look at the pros and cons! Unlimited Access – A big advantage is you can have unlimited access to the property and you can visit for a getaway whenever you like. Family and Friends Benefit – A holiday home could be used by close family and friends as a place everyone can come together in a fun and safe environment. Second Home – If you use the property a lot you may be able to turn it into your second home, saving on packing as the house is setup how you like it! Offset Costs – As with any investment property, you can offset holding and borrowing costs with rental income. If you buy wisely you could enjoy some good capital growth when it comes time to sell. Place for Retirement – If the location is somewhere you enjoy and it has everything you need, it could be a an ideal place to retire. High Holding and Marketing Costs – Holding and marketing costs can be high. Apart from borrowing costs, expenses such as public liability insurance, short stay insurance, advertising, property management costs (which can be as high as 20% of the rental for short stay leases) and maintenance and cleaning costs (which will be higher for high turnover properties) may be associated with holiday rentals. All of these costs combined can take a large chunk out of your rental income. Seasonality – Rental yields can vary depending on seasonal factors and the level of competition in the area. During extended periods of vacancy, the level of rent may fall short of expectations and place the property’s financial viability under pressure. Greater Risk of Damage – There is a greater risk of damage and theft to the property. Things like parties and kids can and do cause problems that might result in major repairs, which could in turn lead to the property being taken off the market while it is being repaired. Higher Vacancy Rates- Holding costs of the property increase when it is in a period of vacancy or when it is being used privately because there is no offsetting rental income. This increases the cost of each of your visits, meaning it might end up being cheaper going somewhere else or even travelling overseas. Negative Gearing Traps – If you buy on the basis of negative gearing, beware. The tax office may limit the deductibility of certain expenses to only those periods when the property is available for rent. This means you might only be able to claim a proportion of the otherwise fully deductible costs of ownership. Lack of Variety – A major problem could be lack of variety. After a while, you might get sick of going back to the same place every year, and you may feel obliged to visit to justify the cost. In the long run, this will reduce your enjoyment and may preclude you from experiencing new sights, sounds and adventures by travelling more widely. Reduced Access – Renting the property out will impact on the benefits of ownership. For instance, you might not get access to your property when you want (especially during popular periods) because it is tenanted. You may have to forgo visits in favour of renters in order ensure adequate rental income, and you may need to limit the types of personal belongings left at the property due to health and safety, wear and tear and theft issues. Lower Capital Growth – Finally, you may not get the capital growth you want. Holiday homes tend to reflect discretionary spending, meaning they are more susceptible during periods of economic downturn. Additionally, values tend to be more volatile so prices can drop more deeply than those in capital city and metropolitan areas. Thinking of buying an investment property? Call us today or click here to find out what our friends at Naked Real Estate have available!